Why did no one tell me about Stockholm sooner? I’m a little bit jaded toward all of my travel friends for failing to inform me just how amazing Sweden is. Especially for kids. 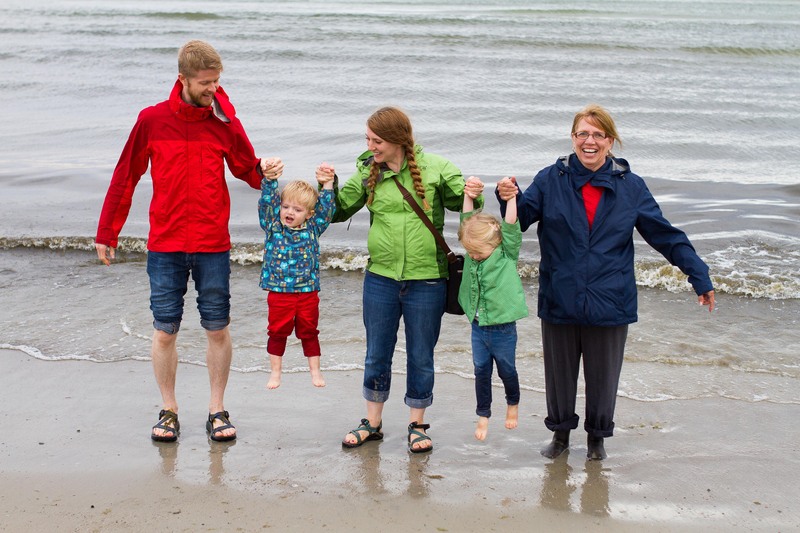 Our family recently took a little weekend trip up north, and we give Stockholm 5 great big, gold stars for family friendliness. What an unexpected delight. We spent 2 days here but I wish we could have spent 2 weeks. Kids of all ages will find loads of fun activities in Stockholm, Sweden. Gamla Stan: This is Stockholm’s old town. The architecture and the little streets are packed with old world charm. This is a really fun place to explore. There are lots quaint shops and cafes and places to see. Not to mention that it is a UNESCO World Heritage site. Some of the buildings in this area date back to the 1300s. 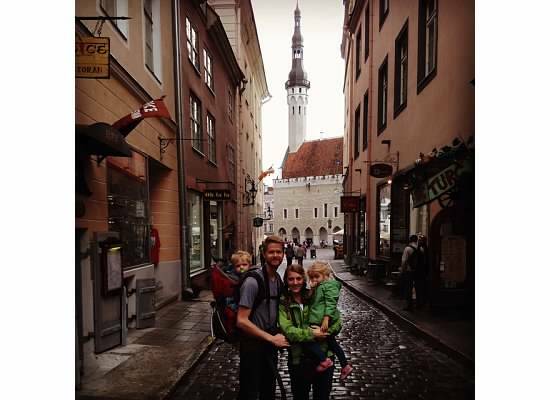 The streets are made of cobblestone, so we would recommend going without a stroller if you can; try to opt for a child carrier instead (see our review of child carrier backpacks here). If you really need the stroller try to take one with nice big wheels because it will make a difference. Royal Castle – This is the actual residence of the Swedish Royal Family, and it is packed with things to do and see. You could spend a whole day here if you had the time. Some of the highlights for kids might include a tour of the Royal Stables (Saturday’s at 1:00pm), the changing of the guard (Daily at noon*), the Royal Armory, and a brand new exhibition of Princess Lilian’s dresses that little girls are sure to love. 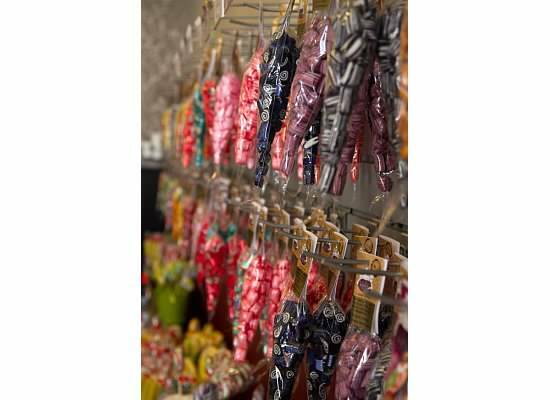 Polkagris Kokeri Candy Shop – We happened upon the cutest old fashion candy shop. It’s in the southwest quadrant of Gamla Stan. If you are in the area make sure to wander in for a demonstration and a free sample of peppermint candy. Both the Swedes and the Finns lay claim to the invention of salted licorice candy, but regardless of where it actually originated you can try a taste of it here. Even if you miss the demonstration, you can ask for a sample of almost anything in the little store and they will likely indulge you. Great Views – Our kids also loved just standing on the edge of the water and watching the big cruise ships come in and out of port. There is a great birds eye view of the city from an outlook deck called the Skyview. It’s free with the Stockholm card or 130 SEK for an adult ticket. To get there, you take the T-bana (metro) to the “Globen” stop and then walk southeast for about 250 meters. 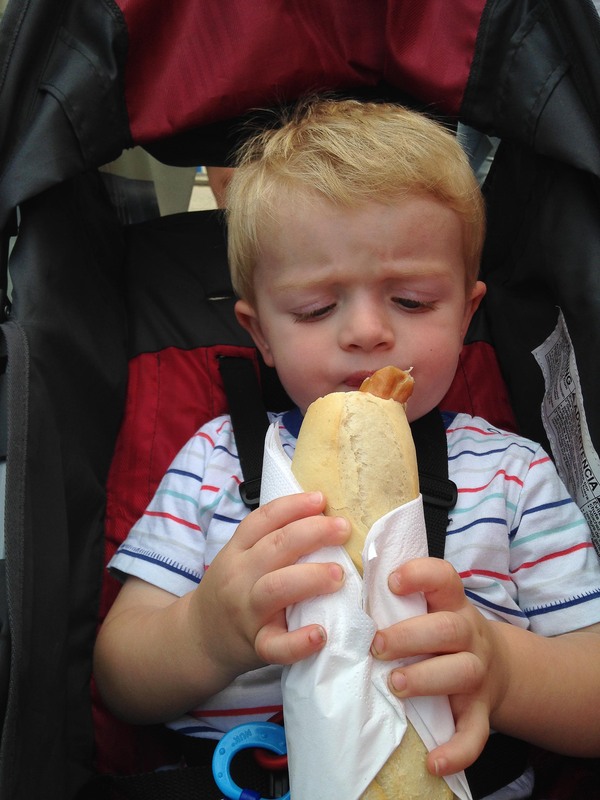 Yummy Food – If you’re looking for restaurant suggestions, check out this link for places to eat with kids in Gamla Stan. *note that the changing of the guard is a very busy time at the Palace. So, if you want to see anything, you’ll want to get there early. Djurgårdsbron Bridge – It’s about a half and hour walk or a twenty minute tram ride (tram 76) to get from Östermalm (the main island) to Djurgården (the eastern island). If the weather is good, we suggest the walk. You’ll cross the bridge and see some amazing views, with the harbor on one side and some stunning architecture on the other. Keep your eyes open for the statues of the 4 Old Norse Gods (Heimdall, Gjallarhorn, Frigg, and Thor) that line the walkway. The Vasa Museum: This is our #1 pick in Stockholm — for adults and kids alike. The Vasa is a Swedish War ship that was built in about 1628. She sank on her Maiden Voyage, less than a nautical mile from port. Yet, because of this tragedy, the Vasa is one of the most well preserved shipwrecks in history. It’s honestly amazing. If you only had 2 hours in Stockholm, this is what I would tell you to see. Actually, if you only had 2 hours in Scandinavia, this is still probably what I would tell you to see. Skansen – The best open air museum/zoo we’ve ever seen. Everything, and I mean everything, is taylor made for children. I can’t remember the last time I had so much fun on an outing with my kids. I feel like the people that designed Skansen thought to themselves, “how could I best explore this place if I were 5-years-old?” I wish we could go here every day. If you have little kids, do not miss it! I would say that the target age is 2-12 but there is plenty to entertain older kids as well. There are lots of little shops and cultural experiences, as well as a fantastic zoo. Plan to spend at least a half a day here. At the entrance, I would recommend paying the extra fee to take the tram up to the top, because the walk up is very steep and will be difficult for kids. You can also ask for a map and a timetable of events: there are demonstrations and feeding times that will help you make the most of your time. You can also download a free app that will help you navigate this amazing childhood treasure. Gröna Lund – An awesome little amusement park. It’s right on the water and has a whole bunch of great looking rides and roller coasters. There are attractions for both smaller and bigger kids, making it a great place for the whole family. Note that Gröna Lund is closed during the winter and usually opens again around early April. Check the website for official opening dates. Museums – There are several museums that we didn’t have time to visit, including: The Nordic Museum (pictured), The Junibacken (children’s museum), and The Swedish National Museum of Science and Technology. You might also want to pop by The ABBA Museum. It’s right around the corner from Gröna Lund. Go ahead and get your Dancing Queen on — we won’t judge. If you make it to these places before we do, be sure to let us know how you liked them. Drottningholm: If you are looking for a good day trip, Drottingholm is about a 45 minute train ride from downtown. It’s probably only worth going on the weekend as Drottningholm Palace is only open on Saturdays and Sundays from 12 to 3:30pm. Other things to see in Drottningholm include: The Drottingholm Palace Theater (also a UNESCO World Heritage site), The Lovön Church, and the Chinese Pavilion. Getting Around: As far as getting to the city center is concerned, it’s pretty straight forward from the airport. You can take a train from the airport terminal to the central train station. The train is called the Arlandae Express. The trip takes about 20 min. There is a kid’s car in the center of the train, and children up to age 17 ride for free! If you come by boat or by train, you should be dropped off right in the city center. Once you are there, Stockholm is completely walkable. Public transportation is also very well laid out, and Taxis are plentiful. You won’t have any problem finding your way. We love our family travel adventures and we have good things to say about almost everywhere we have been, but from a family travel standpoint Stockholm tops the list! I think you’ll be hard pressed to find a more kid friendly city. We loved our short trip to Sweden so much that we are already planning the next time we can go back. St. Isaac’s – This Cathedral took 40 years to construct. It is 333ft. tall and is plated in pure gold. From both the inside and outside it is a beautiful building. The interior used to have canvas paintings, but due to the cold, damp environment, the paintings began deteriorating, and have been replaced almost entirely with mosaics. There is a ticket office on the North East side of the structure (near the tour bus parking), where you can buy tickets to enter the museum and the dome, which you can climb for a fantastic view of the city. There are 200+ stairs to get to the top. We carried our littlest one but our 3-year-old made the trek just fine. The top is completely protected, so there is no worry of kids falling from a height. Keep in mind that St. Isaac’s, as well as many of the other top tourist sites in the city, is closed on Wednesday’s. In the park to the north of the cathedral, there is a wonderful little playground where the kids can take a break and play for a while. It’s about half way between St. Isaac’s and the statue of the Bronze Horseman (and just a bit to the east). The Bronze Horseman is a giant statue of Peter the Great, and is situated atop the thunder stone (the largest stone ever moved by man). The statue is about a 10 minute walk from St. Isaac’s, so be sure not to miss it if you are in the area. It is akin to the Statue of Liberty for Russia. The Peterhof Palace – This gem is often called the Russian Versailles — and for good reason. The interior is both interesting and beautiful, and for an extra fee you can take a short tour. The real reason to go, however, is to see the gardens. Wow! 500 acres of fountains, sculptures, and immaculately groomed flora: all right on the waterfront. You can spend a whole day here, but you can certainly squeeze it in to a half day if you are short on time. As you wander, you’ll find lots of fun things for the kids. Many of the fountains are designed to splash in and get you wet. Our kids had a great time playing in the water and skipping through the shaded pathways. What a backyard. This is a wonderful way to spend a summer day. Here is a great list of some of the fun things not to miss with kids at the Peterhof. You can get there by bus or train from the Baltiskiy Station (about 45 min. to an hour). If you have a car, you can also make the drive in about an hour. However, the best (and most fun) way to get to the Peterhof Palace is by Hydrofoil (35 min). At the end of the Marine Canal, you’ll find several companies that run regular waterfront services to and from the main entrance of the palace. The Church of the Savior on Spilled Blood – This was our FAVORITE thing that we saw in St. Petersburg. When you picture Russia in your mind, this is what your imagination draws up. The church was built on the site of the assassination of Emperor Alexander II. It is constructed in the classic 17th century Russian style. Bright colored mosaics and onion domed towers adorn the outside of the church. The exterior is stunning, but pales in comparison the interior. Once inside, you’ll find more than 7,500 square meters of mosaics: the majority having been made with real gold leaf. This church, all by itself, is worth the trip to St. Petersburg (Closed Wednesday’s). The Peter and Paul Fortress – This fortress is a bit off the beaten path, but it’s a fun area to walk around and explore. Every day at noon, a blank shot is fired from the cannon at the Naryshkin Bastion. It’s a tradition that dates back to 1873 as a way for the citizens to synchronize their watches. On Saturdays, after the shot is fired, you can watch the ceremonial changing of the guard. Aside from the Naryshkin Bastion, the fortress houses a museum, a bell tower, and the beautiful Peter and Paul Cathedral. If you are looking to grab a bite, there is a fantastic, family friendly restaurant in the area. It’s called Koryushkyu, and it’s located on the southwest corner of the fortress island. DO order the corn soup. DON’T order the bottled water – it’s imported and REALLY expensive. Go for an apple juice or a soda instead. The food is fantastic and there is a great play area for the kids. Sometimes I still dream about this place. SO good! Getting there – Overall, just remember that Russia has very strict entrance and exit laws. Thus, you will most likely need a visa to enter. It can be a bit confusing, so we would recommend going through a third-party organization to secure your visa’s and make sure can safely enter and exit the country. However, if you enter by Ferry from Helsinki, Stockholm, or Tallinn, you can sidestep the visa requirements (but you are only allowed to stay for 72 hours). The St. Peter’s Ferry Line (now operated by MOBY travel) is the only company that makes the journey. We’ve entered and exited Russia by boat, train, and plane. I will say that if you can afford the Visa fee, the process of coming in by train (from Helsinki) or by plane is much smoother. The ferry feels a bit more stressful, but it is absolutely doable with kids. All in all, we found St. Petersburg to be a warm and friendly place. We felt safe and comfortable and had a great stay. It’s a fun vacation spot for kids and adults alike, and by far my favorite city in Russia. The Baltic States are some of the most underestimated locations in all of Europe. They don’t really fit in any category. It’s not Western Europe, it’s not Easter Europe, and it’s not quite Scandinavia. Instead, this area has a charm and a vibe that is completely original. If you haven’t been to this region before, we would highly recommend a visit. And if you avoid traditional Lithuanian food we promise you’ll have a fantastic time. To help you out, we’ve mapped a course of our favorite cities in the neighborhood. Gdańsk – While Poland is not technically a Baltic State, there are a few places in the northern part of the country that border the Sea and are worth a visit. 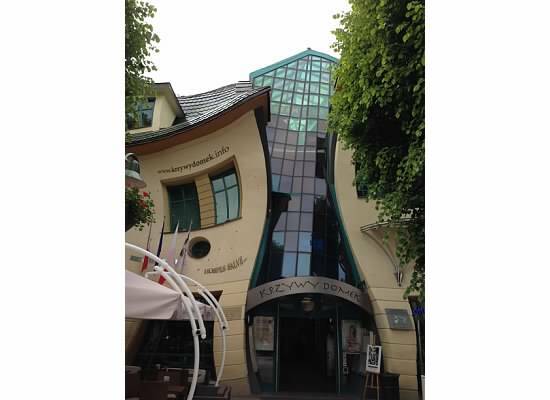 Our first must see stop along the Baltic Coast is Gdańsk, Poland. It is a great city with a long, rich history. The entire Old Town of Gdańsk is really remarkable. Right along the water there is a beautiful and well-preserved medieval port crane. It was built in 1442, making it the oldest one in Europe. We would also recommend that you don’t miss the National Maritime Museum (where you can board and explore the SS Sołdek), The Green and Gold Gates, Artus Court, St. Mary’s Church, and the beautiful Amber shops. For a half day trip, you can sail (on one of the fancy ships in the harbor) to the Hel Peninsula. That’s right, you can take a Pirate ship to Hel! The big highlight for our kids in Gdańsk was the Ciucui Cukier Artist Candy Factory. This shop is located at 64/64 ulica Dluga and every hour they do a free demonstration. Here, they hand make traditional Polish Rock Candy and sometimes lucky customers – like our 2-year-old daughter – get invited behind the counter to help! Every demonstration ends with big smiles and free samples. It’s a must see and a must taste on the bucket list. Sopot- Just a quick half-hour train ride north from Gdańsk is the city of Sopot with its legendary Boardwalk. The Pier itself is totally empty and costs money to walk along (not worth it in our book). But everything leading up to it is full of fun and color. It’s a quirky little town with a whole lot of character. Street performers, vendors, and art fill up this little city with charm. The Sopot Beach is a beautiful (but crowded) place to relax on soft sand and swim in cold water. Try visiting in May or September when school is in session. That way the crowds are low but sun is still high and the weather is beautiful. 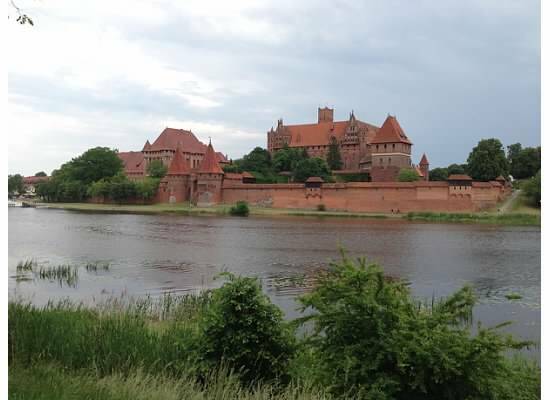 Malbork – In the opposite direction, another great day trip from Gdańsk is the Malbork Casltle. It’s just a half hour train ride to the south and well worth the short journey. Malbork is a Teutonic Knight Castle. It was built in 1406 and is the largest castle in the world of its kind. I would plan at least 3 or 4 hours to get through the whole thing. Make sure not to miss the Amber Museum that resides in the basement under the gift shop. It’s also nice to cross the bridge and get a view of the castle from across the river. The city of Malbork itself is quite small and beside the castle you won’t find much to see. It’s mostly made up of overpriced vendors trying to capitalize on the castle’s presence by selling the same cheap and gimmicky clutter. However, there are some pretty great ice cream shops around town that make it worth an hour-long wander. Kaunas – Just a bit inland and to the North of Poland is Kaunas, Lithuania. It’s a great place to stop for a day or two. The main street leading up to the town hall is lined with fun and traditional Lithuanian shops and art galleries. Some great things to see in this city include: The St. Michael the Archangel Church (pictured), The Žmuidzinavičius Museum (Also called the Devil Museum. This may be a little scary for the under 5 crowd), Ninth Fort, and The Kaunas Castle. Directly south of the Castle, you’ll find a lovely park. It’s great for a stroll on a sunny day. Just as the path curves, there is a little playground where the kids can stop and run around for a bit. If you continue on, you’ll eventually run into the river. Just across the bridge there is a tall staircase where you can climb to get a great view of the city. For an off-the-beaten-path experience, take a 20 min. drive east to visit the Pažaislis Monastery. Open Mon.-Fri. from 10am-5pm and Sat. from 10am-4pm. 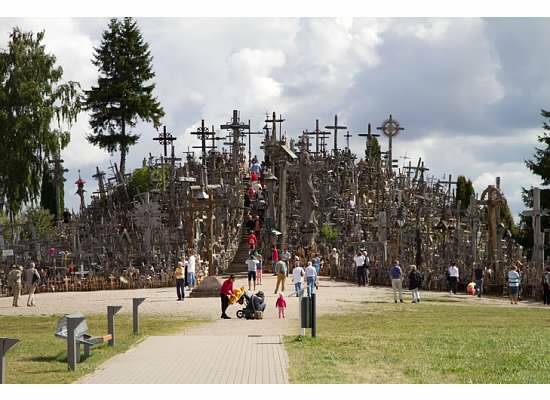 The Hill of Crosses – One of the most interesting and unique places we’ve ever been to is the Hill of Crosses just outside of Šiauliai, Lithuania. A couple of years a go, we drove from Kaunas to Riga. This Holy site is about half way between the two cities. Travelers have been making pilgrimage to this hill for more than 200 years. There are now over 100,000 crosses that cover the site. It is honestly an amazing thing to see. 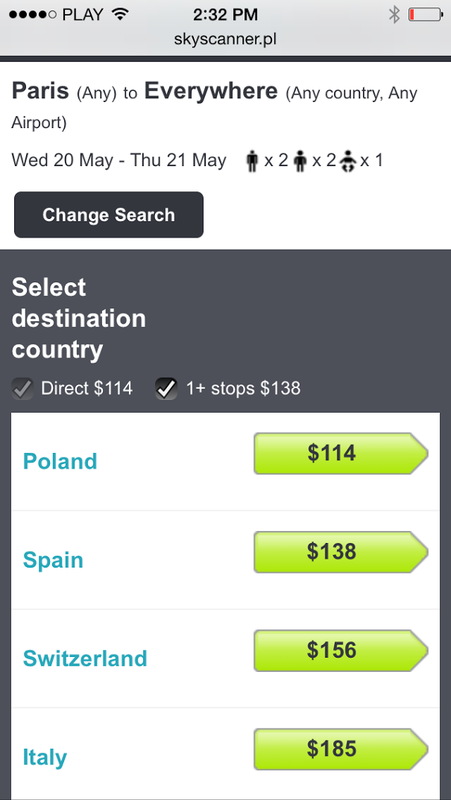 Vilnius – Truth: We’ve never actually been to Vilnius. Second Truth: We really really want to go. SO, if you make it to the Lithuanian capital before we do, let us know what you think. We’ve heard that the Uzgavenes festival held yearly in February is amazing. Lithuanian tradition says that you have to scare away the winter. So, every year men and women dress up in big devil masks and put up witches all around the city to fight off the cold winter spirits and welcome in the spring. Riga – Riga is one of those cities that you visit and think “I can’t believe I never thought to come here before”. It’s not Paris, it’s not Rome. But it is worth a weekend stop. Every August, this city puts on the annual Riga City Festival. We’ve been 2 years in a row now. It is definitely the time to be there. During the festival there are lots of free performances and activities. All up and down the river you’ll find lots of booths selling yummy local street food. And in the main square, there are hundreds of vendors set up to sell hand crafts and homemade goods. It really brings the city to life. Jūrmala – This city is about a half hour drive from Riga. It’s very reminiscent of the little coastal towns that dot Oregon and Northern California. The beach itself is great but it’s also fun to meander in and out of the little shops and farmers markets inside the city. Tallinn – Tallinn is our very favorite of all these Baltic cities! This is one of those cities where it is best just to wander. Everything in the old town is worth seeing and exploring. While Tallinn was originally settled as early as 2500 BC, the old town has preserved most of its historic architecture from medieval times. The old town is divided into Upper-Town (Toompea) and Lower-Town and is best explored on foot. However, it is not all that stroller friendly. So, backpacks or baby carriers are advised. The views from Upper-Town are quite picturesque and make it worth the hike. Outside of old town you might consider taking time to see the Estonian Open Air Museum, the Tallinn Zoo, or to have a beach day along The Gulf of Finland. While we were there in August, we also took a bus out to see the Tallinn TV Tower (about a 30 min. bus ride) which has a viewing deck on the 26th floor. On a clear day, you can see a pretty spectacular view from the top. It is a completely enclosed and very child friendly space. Just a couple of bus stops shy of the TV tower is a beautiful botanical garden as well as a ruined 14th century monastery. We cannot say enough good things about Tallinn and always recommend it to our traveler friends. I’ll admit that the last time I was at a Renaissance Festival I was probably 12-years-old. So, I was way overdue for my fill of Amateur Actors, Sultry Maidens and Drunken Fools. That’s why we decided to visit the Five-Petalled Rose Celebration in Český Krumlov, Czech Republic. It is now one of our very favorite family memories. Český Krumlov is about a 2-hour drive south of Prague and even without the festival this adorable and authentic medieval city would be worth the trip. If you don’t have a car, the best way to get in is by bus. It’s a 3-hour bus ride from Prague or 4-hours from Vienna. The festival is held Annually in the month of June on the weekend of the Summer Solstice. This year it will take place from Jun 19 – Jun 21, 2015. The festival lasts three days but on our trip we stayed in Prague and just made a day trip down to the Renaissance Faire. The Sights: The view of the faded but colorful castle tower is visible from all over the town. There are several great points where you can get a really great look at it. Across the northern bridge you will climb by ramp and road to the castle. It’s bumpy in places but fairly stroller friendly. If you continue up the hill past the castle, you will find the castle gardens as well as a great view of the city. The town is very small making it pretty easy to find your way around. Shops and Venders: At the Castle base are booths where authentically dressed vendors sell all kinds of handmade goods. We came home with some local honey as well as some beautiful and fragrant lavender soap. Also, as you wander through the tiny streets you will find little shops that sell all kinds of children’s toys, trinkets, and treats. During the festival, in the main square, there are lots of food tents set up. It’s a street food kind of feeling but it’s all quite yummy. Make sure to bring cash as most places won’t take a credit card. Performers: In the main square, you will also find a large stage. The majority of the performances happen here. However, as you meander in and out of the ally ways, you will likely run across some smaller performances. We happened upon a fantastic 2-man puppet show. The actors were over the top and very kid friendly. They were so animated and fun that it didn’t even matter that the performance was entirely in Czech. We also ran across some jugglers and other street performers that were hired by the festival. You can check the schedule for these performances as well as for larger demonstrations like sword fighting and jousting. Kids Rides & Games: Just on the other side of the city wall, there is a great big children’s section. This was our very favorite part. Here we found all kinds of old timey carnival rides. The target age for this area is probably 2-8 but our 1-year-old did just fine. This section was full of all kinds of swings and games. There was also a medieval style merry-go-round. A large man pushes a large wooden arm as he runs side-by-side with the carousel to propel the children as they sit in little brown baskets. Our kiddies couldn’t get enough. We spent several hours here and it wasn’t long enough. This festival is a perfect vacation destination for families. If you are looking for a fun European spot to take your kids this summer – look no further. The Czech Republic, that’s where it’s at. Can we come back and do this every year? Pretty pretty please! There are things in life that were designed specifically with the intent to ruin your day. In our travels, we have come across a few “vacation spoilers”. So, below we’ve done our best to help you outsmart the travel blues. Here’s a list of 7 things that can ruin your vacation and how to prevent them wrecking all the fun. Catholic Holidays or any religious or government shutdown for that matter. When you have time off you likely want to travel. The problem is, when you have a day off from work chances are that so does everyone else. In Europe, where the religious climate is a bit more rigorous than in the U.S., everything seems to shut down on holidays: shops, restaurants, grocery stores, etc. This doesn’t mean that you can’t travel on holidays. It just means that you will need to do a little more planning. When we were traveling in Paris for the Christmas we did some research and found what things would be open Christmas Day. Most of the museums and Christmas markets were closed. However, the Opera House was open along with The Eiffel Tower, The Moulin Rouge, and – of course – all the shops in the Jewish district. Likewise, the Pompidou Center is closed on Christmas but it is one of the few places open on New Years Day. Remember that it’s not just big holiday’s like Christmas but little ones like 3 Kings Day in January and The Assumption of Mary in August. Just check a country specific calendar before you go so that you can plan for it. Also, it’s good to be aware of the holy day of the country you are visiting and know that there is a good chance things will be closed. Sickness. Whether you get a cold or a sunburn, a sickness can turn a fun family vacation into a tough situation. When you are traveling, you often don’t know where to find a pharmacy and if you are in a foreign country you probably don’t know what to look for even if you find one. So, we like to take a little medicine kit with us when we travel: sunscreen, aloe-vera, children’s Tylenol, cough drops, essential oils, etc. 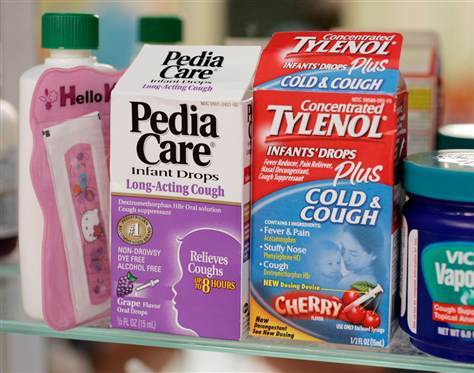 You don’t have to pack the whole medicine cabinet just bring a few emergency essentials. If you are traveling by plane, remember to check the carry on size requirements for liquids and gels. Security WILL make you throw things away if they are too big. It’s always a good idea to prevent where you can. Put on sunscreen, wash your hands, don’t eat “questionable” food. There are some ailments that can be avoided. With sickness, you may have to change your plans a little bit. When we were in Hawaii a few years ago we had a family member throw out her back. We had planned to go for a scenic drive but that was out of the question. So, we set up camp on some blankets and had an extra beach day instead. In Copenhagen this winter, our 3-year-old came down with a temperature and we had to forgo our planned day trip to Malmö, Sweden. A bit sad but not the end of the world. Sickness isn’t any fun, especially on vacation, but be prepared and try to roll with it as best you can. Weather. Rain, snow, wind… we don’t want them but they come anyway. This is another thing that can ruin your fun if you aren’t ready for it. So, be ready. The snow is colder in t-shirts, I promise. But it’s really not that bad in a winter coats with hats and gloves and all the fixings. The biggest thing to make sure the weather doesn’t hurt your travel is to embrace it. Check before you go and pack for it. I know it sounds like such a simple thing but a poncho can save your vacation. This is another place where will also benefit from some planning. If the weather says rain on Tuesday, consider making that your museum day. Lost Luggage is more likely than you might think. The Huffington Post has some tips on how to prevent lost bags but just in case it does happen you will want to have a backup plan. We like to use our carry on space as a kind of emergency bag. We pack the essentials for at least 24 hours after we land. Toothbrushes, extra changes of clothes, electronics, diapers, medicines, and other essentials ride with us and not under the plain. We also take extra care to protect our wallets and passports when we travel. I cannot even imagine losing these items in a foreign country. Keep them close to you and watch for pickpockets. Keep your wallet in your front pocket and your passport close. You might even consider wearing them on your person. Just in case you do lose something as important as a passport make sure you know where the embassy of your home country is located. The United States Bureau of Consular Affairs recommends that you make a copy of your important documents to leave with a friend back home in case of emergency. Overspending can also put a damper on your excitement. Try your best to budget ahead of time but plan for things to cost more than you anticipated. Have a talk with your travel partner(s) before hand about their views on overspending. It can be a contention point so it’s good to discuss these things before you are standing in the ice cream line. Getting Lost can be a big pain. Make sure you have a good map of the city and always write down the address of your hotel. Make note of landmarks and street signs. Make a special effort to pay attention to how you got somewhere and don’t be afraid to ask for directions. Even if you don’t speak the language, charades can get you pretty far. On the flip side, sometimes getting lost can be the best thing that ever happened you. You might wander into some fantastic sights and memories. Go with the flow and enjoy the experience. Melt Downs. If you can make it through a normal week at home without your 2-year-old throwing a tantrum, please come teach me how. If you can make it through a week-long vacation, you must be the child whisperer. The point is, your kids will not suddenly be immune to being kids just because you are inside the Taj Mahal. That being said, there are some things that you can do to help. 1). make sure that your trip has things for both child and parent fun. You have your list of things to see but don’t forget theirs. Traveling with kids, you will see things that you wouldn’t have seen otherwise. They want to visit the park and the zoo and the toy store. Sometimes these stops are more fun than you might have originally thought. You’ll get a real feel for the people and the culture by experiencing some of these more normal, day-to-day activities. It will also help your children feel like this trip is for them. We’ve found that an hour at the park or an hour-long nap can work wonders for their mood and their willingness to be dragged along to the next destination on the bucket list. 2). Never underestimate the power of a bribe. The promise of ice cream once bought us an extra two hours in the Louvre. SO worth it! 3). We’ve found it helpful to plan some extra time in your days. Everything just takes a little longer with kids. Good time management when you travel is a great stress fighter. Parent your little heart out and just do your best. If your kid does have the melt down to end all melt downs in the middle of time square, just chalk it up to a win that you don’t know any of these people and you will never see them again. If you have other thoughts or ways to help avoid classic travel pitfalls please share with the peanut gallery by leaving a comment below.